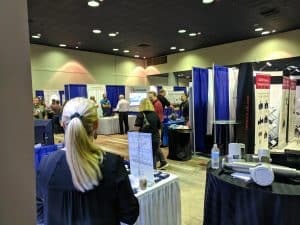 This week our managing director and industry engineers attended the ASGMT 2018 Conference at the Marriott Houston Westchase Hotel. Connecting with the leading companies and pioneering individuals is a top priority for our firm. 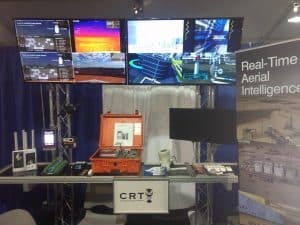 Designing and constructing an engaging, multi-faceted ASGMT booth allowed us to showcase the products, services, & solutions CRT Services provides for our firm. 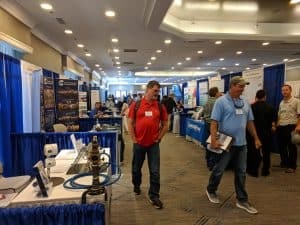 Located in the expansion “tent” area of the vast exhibit hall our booth hosted a wide array of industry players, from newly minted engineers and field technicians to seasoned veterans and company heads. 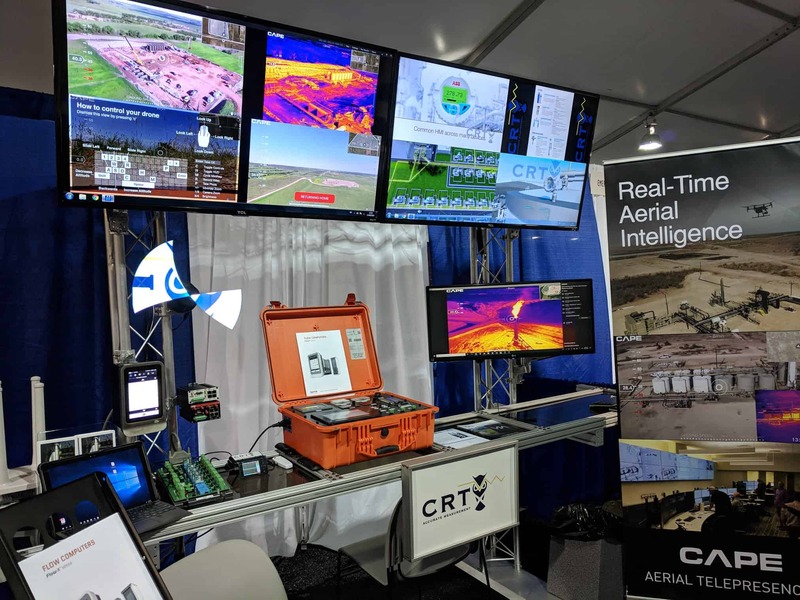 A focal point of our presence this year was our aerial telepresence service in partnership with Cape, the vanguard provider of remote drone monitoring technology. On our dynamic monitor wall, we displayed a variety of active drilling site feeds. In an effort to provide top-tier service to our clients, David Alderman spent extensive time onsite in North Dakota. 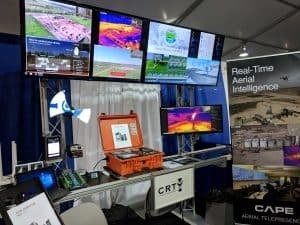 From the ground, he observed remotely operated drones surveying the client site and transmitting data wirelessly in real-time to the executive control room. This in-person testing allowed David to fully grasp the many use cases of remote drone monitoring for industry players. Cape Aerial Telepresence™ is the leading cloud platform for drone telepresence & data management. This technology is now available at discounted rates with service additives through CRT Services collaboration with Cape. This is a professional software platform providing effective control of a long-range drone camera in real-time across the world. 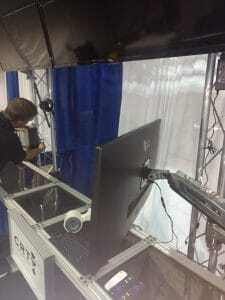 Cape Aerial Telepresence™ makes drone use and flight easy for professional experts across a number of industries. 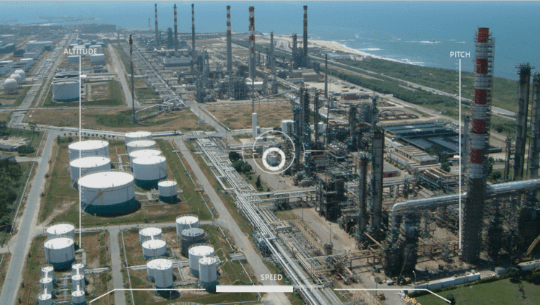 The Cape platform unlocks the full use potential of commercial drones by removing the traditional complexities such as needing an onsite technical expert. Focusing on automated drone telepresence, we remove those limitations offering an easy to use, safe, and cost-effective platform that allows for drones to be remotely operated. This term called asset injection which enables experts in their field to inspect corporate assets & operations in new ways and in real-time. CRT Services provides measurement automation for the modern oilfield and applies tomorrow’s technology with yesterday’s service.